Dr Hew Kuan Yau promotes his new book unceasingly throughout Malaysia. I can't digest his marvelous literary work because my political consciousness is only kindergarten level. I got my answer after reading the preface which was written by the Speaker of Selangor State Legislative Assembly Teng Chang Khim. During the schooling time, I used to see the Kung Fu Movie of Bruce Lee at Malacca Capital cinema with my classmates. Therefore, I know about the biography of Bruce Lee. 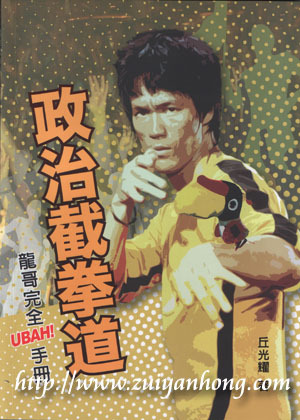 After glancing through "Politics of Jeet Kune Do", reminds me of the 70s memories.